NAMM's most important annual events are the domestic trade shows held in January and July and a co-produced Russian show held in May. These conventions, open only to NAMM Members and the music products industry, attract tens of thousands of attendees who want to see new innovations and developments in music making. NAMM trade shows are unique because in addition to unifying the industry by bringing buyers and sellers together from around the world, the excess revenues from these popular events are funneled back into growing the music products industry. The National Association of Music Merchants (NAMM) is the not-for-profit trade association that unifies, leads and strengthens the $16 billion international musical instruments and products industry. NAMM's activities and programs are designed to promote the pleasures and benefits of playing music to people of all ages. 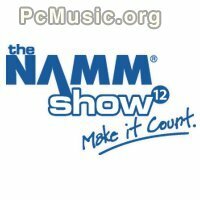 NAMM is comprised of approximately 9,000 Member companies. All MacMusic staff will be ready to give you all the news (Hardware & Software, Musical Instruments, Audio Pro etc. ), in real time!